Erected on a financial street of the most bustling commercial area assimilated to Nanjing Road in Shanghai and Wangfujing in Beijing, it is a towering landmark. It is capable of affording the business conventions in special region like a perfect pavilion relied on its advanced telecommunication facilities. It resorts personal services advancing with times and recognized as a dynamic representative in one of China’s financial streets. Wangfujing, the name parallel with the flourishing names such as the Fifth Avenue in America, Nanjing Road in Shanghai of China, etc, but with more nobleness, culture and architectural flavor, has formed a landmark with the surrounding commercial and cultural environment, advancing with the rhythm of times. One who goes to Beijing should visit the Wangfujing, which is the simple financial interpretation for Wangfujing. OCT Interlaken Hotel is like a fantasy and a legend. Those who are walking on this land could enjoy both the views of South China domain, Haicheng and exotic Switzerland. This myth resembles a romantic young girl, treading the footsteps matching with the tune of the dawn and the cozy green dreams, presenting a section of vivid fairy tale embraced in highlighting. There are a myriad of five-star hotels standing in Shanghai, this cosmopolitan metropolis. A landmark-like building perches on Songjiang District with superb, characteristic and unparalleled style. 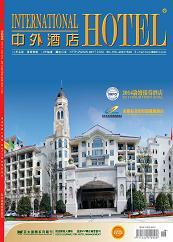 It is named Songjiang New Centruy Grand Hotel Shanghai. It is not the simple integrity of accommodation, dinning, entertainment, business, tourism with five-star hotel uniform specification. It is very popular presenting Kaiyuan’s care. Yun Nan Horizon Hotel, neighboring to the Central Plaza along the Pan Long River, is located in the financial and cultural center of Kun Ming city, which is convenient in transportation, surrounded by shopping malls and embraced in a beautiful environment. The hotel has 440 luxurious rooms of different types and 7 high-class restaurants of elegant decoration, serving different tastes of delicate food. It is a sea-view business leisure hotel with a full range of accommodation, food and beverage, entertainment, business and conference. Boao, the magic name, linking with Asian Forum has made the land become more magic: three flowing rivers, three embellishing islands and three existing mountains has formed the fairyland in the world as a beautiful picture, more displaying the excellence and remarkableness of Sofitel Boao; she has held the duty of Asia due to the orientation of conference themes in the Chinese sense and become the synonym of gathering of global national heads and economic leaders. Situated in a famous resorts, attached eight various chambers equipped with simultaneous interpretation in seven languages and high-level video facilities, capable of holding 700 people at the same time, the hotel is very popular with international conveners. It stands against hills (Small Huashan Mountain) and faces waters (Xian’an River), which adds traditional charm of fengshui with ancient Hui School’s architectures and olden market scenery. As a cultural treasury standing on the Central Plains area, she has exploited, strived and kept pace with pace through the vast visual fields and verve of creating the first class. In just three years, Dahe Jinjiang Hotel has made great progress as her name; she has gained a harvest of both occupancy rate and profits due to her perfect facilities and better service quality compared with others in the same grade; she has become the outstanding model in the Central Plains area and gained a good many of honors. The decoration of Zhuhai Chang An Holiday Hotel condenses the Chinese dragon culture history and art quintessence for thousands of years and fully represented the characteristics of Chinese nation. Displaying the tradition in the flourishing place, it embodies the traditional ceremony and humanistic tradition of the Orient. In the competitive market, it stands out in a short period and has become a model in the district, popular among customers. Shan Dong Ji Ning Hong Kong Hotel, named for the reason of Hong Kong returning to the Mainland, compactly follows the trend of hotel development, taking market as the direction, culture the center, and character the life. Based on the profound canal cultural history, plus the character of modern hotel management, Hong Kong Hotel has merged the canal culture with the environment, atmosphere, operational concept gradually in an innovative way, trying every means to perfect the combination of ancient culture with a modern hotel to build a all-around theme hotel of the canal culture.